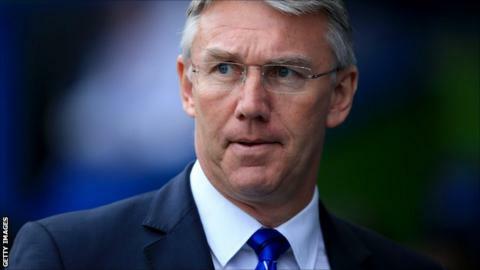 Boss Nigel Adkins says Reading have control of their own destiny after beating Middlesbrough to move back into the Championship play-off places. Adam Le Fondre's 14th goal of the season and an own goal from George Friend saw the Royals move back into the top six with two games remaining. "I'm really pleased that with two games to go our destiny is in our hands," Adkins told BBC Radio Berkshire. "If we get into the play-offs then I fancy us against anybody." He added: "We showed grit, hunger and passion." "We've got two challenging games left," he said. "One up at Doncaster who are fighting to avoid relegation. "We'll have to score two because Sharpy is bound to get one for them. "So we need to win another two games to get in the play-offs and then anything can happen. We've been patching up a team since September and we're still in there." Adkins also urged the club's supporters to help get his side into the play-offs as they continue to battle against a severe injury list with Danny Guthrie (calf) and Hal Robson-Kanu (facial injury) picking up new problems against Boro. "[We need to try and] recreate the atmosphere of tonight against Burnley," he said. "Everyone pulling together. "The players have sparked the crowd and the crowd have sparked the players and that is what it needs to be. We all share the same passion and desire and we know the future at Reading is bright. "Everyone has to stick together and work through it because we know the future in the academy is bright."